Quang Binh (VNS/VNA) - The Vietnam National Mine Action Centre (VNMAC) on March 19 received 200 explosive detectors donated by the government of the Republic of Korea (RoK). 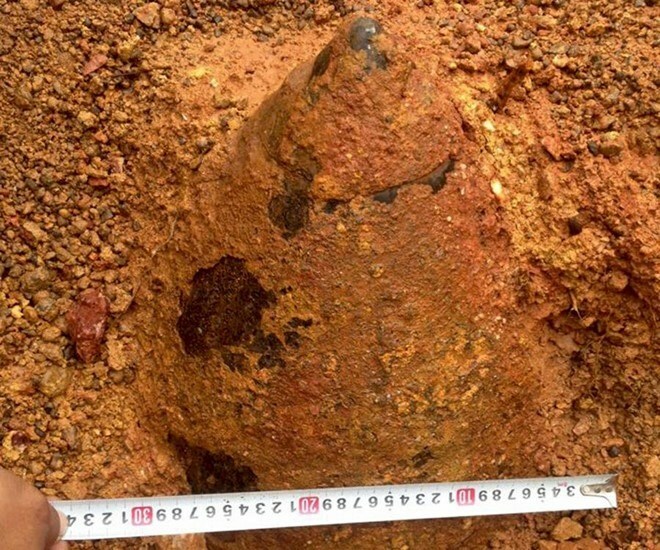 The detectors will be used for a project on reducing the impacts of unexploded devices left over from the war in the central province of Quang Binh. Commenced in March last year, the project is run by the UN Development Programme (UNDP), the Korea International Cooperation Agency and Vietnamese partners. Along with the tasks in bomb clearance, the project aims to assist development in the areas with most unexploded devices. At the ceremony held in the province’s Quang Ninh district, the RoK’s Ambassador to Vietnam Kim Do-hyon said the project is significant for the clearance of wartime unexploded devices in Vietnam as well as for the Republic of Korea and Vietnam to enhance their friendship. The ceremony was accompanied by visits to the fields and a seminar to educate local children on the dangers posed by unexploded devices. According to VNMAC, the centre has investigated the central provinces of Quang Binh and Binh Dinh and found 4,600ha of land embedded with the devices. A total of 4,500 locals have been trained to protect themselves from unexploded bombs as well as to earn a sustainable living on land that is littered with unexploded devices. Quang Binh itself has 225,000ha of the land, occupying 30 percent of the province’s total area, and the project has partly helped to ensure locals are safe from explosive device accidents during farming.